The Grand Mayan Acapulco photos show how amazing the accommodations are that you can experience when you travel with MayanRental! The Mayan resorts have been called the most spectacular in Central America, and Acapulco is the latest and greatest of them all! You can check for availability here, or visit our website for more options and information. We also have photos of the Brand New Acapulco Mayan Palace. The Acapulco Grand Mayan resort is the flagship of the Mayan resorts. One of our owners, Cary Brooks, contributed most of these photos, except for a couple of the water park. You can see a map of the resort here. We don't have any pictures of the accommodations, however, you can see the columns of the elegant Mayan architecture add a feeling of luxury and mystique to your vacation. We also have the details of the amenities which I think speak for themselves. The two bedroom suite is over 1,200 sq. ft., with spa tubs in both bedrooms, a large patio and cooling pool extends the living space out even more, for lot's of privacy. The security is great, and the maid comes twice everyday to clean and pick up. The kitchen is fully furnished for anything you might want to cook, and they are luxurious with granite counter tops and all stainless steel appliances. There are a couple more photos of the great Acapulco golf course at Mayan Resort Acapulco golf. Equipment is available for rental, or bring your own. It's one of the most beautiful golf courses (par 72), in the world, with the Sierra Madre mountains in the background. They always have tournaments going on that you can join, like the Father and Son tournament. The water park in Acapulco is designed for younger kids. 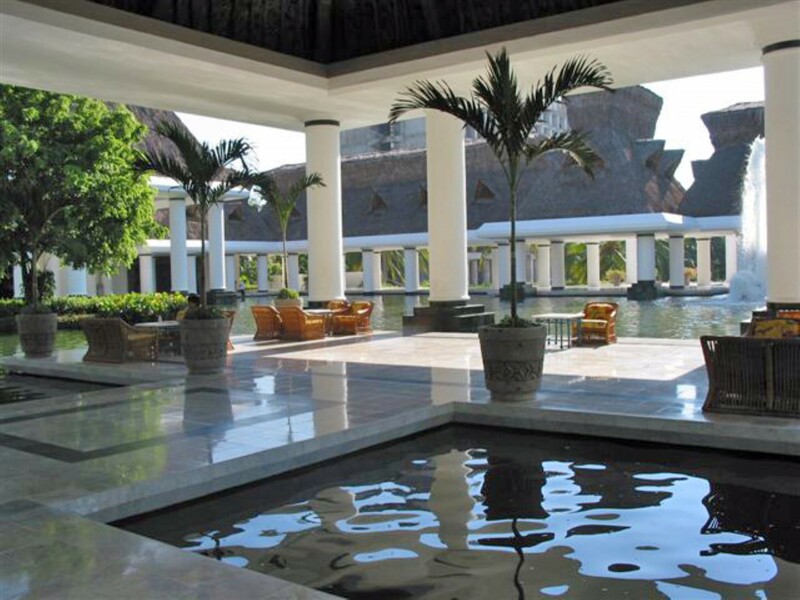 Of course, like all other Grand Mayan resorts, there is also a beautiful pool area designed to give each party a little privacy instead of everyone just jumbled next to each other on beach chairs. 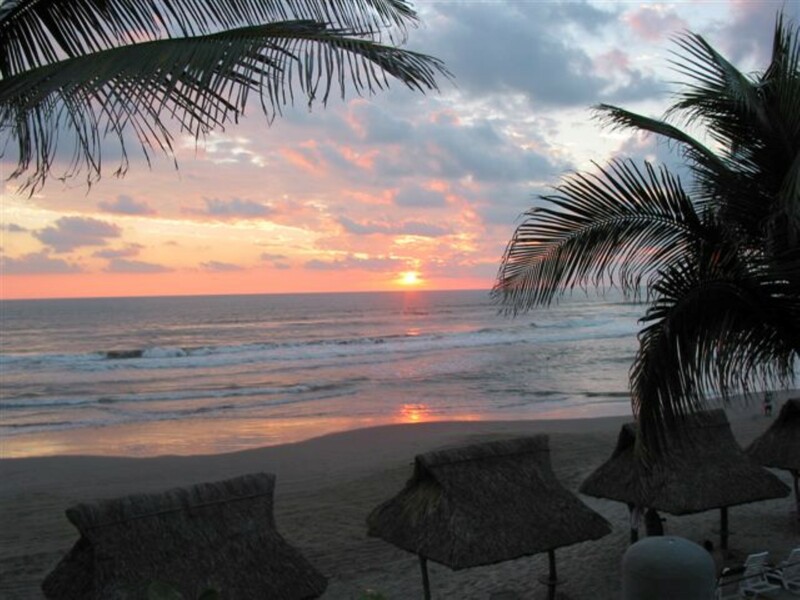 As a bonus, there is the golden sands of Acapulco bay and the quiet relaxing beach if the ocean is more what you're looking for over a pool. 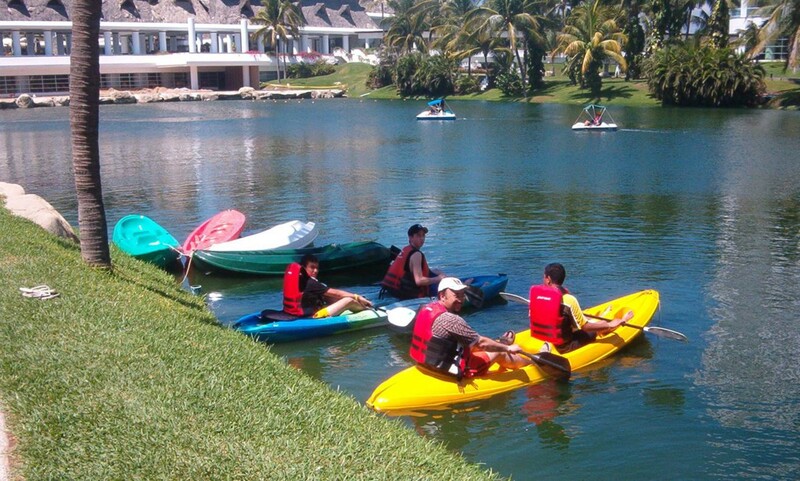 There is so much to do at this resort and in the neighboring city of Acapulco. The resort offers great diversity in shopping, events, sports and especially restaurants and bars with nightly live entertainment and an on site tennis academy with private lessons available. I had some of the best mole sauce I've ever had, here. 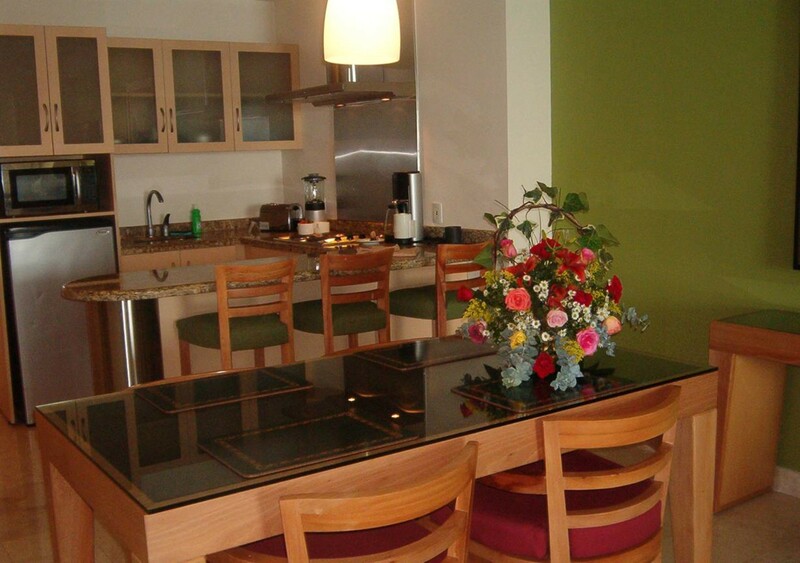 If you like to get out on the town, Acapulco offers lots in the way of eating, drinking, dancing shopping and more. You can jet ski or parasail in the bay, and you have to visit the world famous cliff diving show that's put on everyday. Another great advantage is that the airport is really close! If the city isn't really your thing, it will be well worth it to rent a car and drive south down the coast. You'll come across some beautiful and quaint fishing villages and experience authentic Mexican life. We hope the Grand Mayan Acapulco photos convince you that you can have the vacation of your dreams with us!